by the police, we can help. Providing low fee defense since 1985. SF’s largest and longest running traffic law firm. than cost of the fine. David Uthman is an experienced trial litigator and San Francisco DMV lawyer with a track record of success defending criminal, DUI, and DMV cases. As a former police officer and Public Defender he brings insight, knowledge and commitment to defending his clients. The Uthman Law Office has assembled a team of expert witnesses, private investigators, and full-time legal assistants, that can investigate and present a defense that is tailored to each client. If you are facing criminal charges, David Uthman strives to have those charges dismissed or reduced so the consequences are less severe. Through meticulous preparation and a creative use of motions, David Uthman has won dismissals of numerous cases before trial. When cases cannot be dismissed, David Uthman will seek to reduce the charges and consequences, so that you can return to your life and normal routine. In many misdemeanor cases, he will make all court appearances without the client having to appear in court and lose time from work or family. 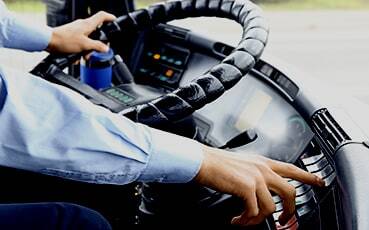 David Uthman has years of experience representing drivers who have lose their driving privilege or are facing loss or suspension of their licenses. He has an intricate and practical knowledge of DMV law and DMV hearing. He has an excellent professional relationship with DMV Hearing Officers and knows how to optimize your ability to retain or regain your driving privilege. Uthman Law Office represents people in all administrative proceedings at the Department of Motor Vehicles (DMV), in matters such as negligent operator hearings (accumulating too many DMV points or accidents); lack of skill hearings (where a police officer refers you to the DMV because they observed alleged problems with your driving); fraud hearings (accusations of cheating on tests or obtaining a license under false pretenses); age discrimination and all matters involving a suspension or revocation of your privilege to drive. When faced with the risk of losing your driver’s license, legal representation during administrative proceedings can be just as important as in a criminal court. Also, in California, an arrest for driving under the influence prompts administrative charges with the DMV in addition to any criminal proceedings. Regardless of whether you are convicted or even charged with an offense, the arrest will result in an administrative driver’s license suspension unless you request a hearing to fight the decision. With only a 10-day window in which to request a hearing, it is imperative to contact a San Francisco DMV attorney as soon as possible after a DUI arrest, or if you have received a notice of suspension or revocation of your license. It is unlawful to drive while under the influence of any alcoholic beverage or drug in California. An adult can be charged with driving under the influence (DUI) for operating a motor vehicle with a blood alcohol level (BAC) of .08 or above, or if there is probable cause that they were driving while under the influence of any amount of alcohol or drugs. A first-time DUI offense may result in a driver’s license suspension, possible jail time, DUI school, the installation of an ignition interlock device on the driver’s vehicle, three to five years of informal probation, and fines. The penalties upon a conviction can be more severe if the defendant had a prior DUI, caused an accident or injuries, had an extremely high BAC level, or was driving with a minor in the vehicle. A drunk driving conviction can have a significant impact on personal and professional aspects of one’s life. 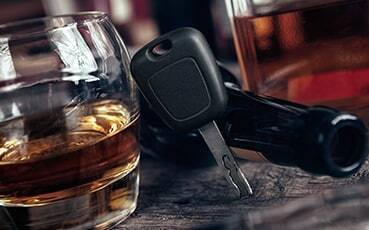 At Uthman Law Office, our San Francisco DUI lawyer can address the concerns of our clients and provide an aggressive defense against DUI charges. In some cases, we can challenge the basis for a traffic stop or arrest if the police did not have a reasonable suspicion that the driver was committing a crime. We may also engage experts to testify as to the reliability of chemical and field tests that the police used. In addition to serving as a DMV lawyer in San Francisco administrative proceedings, David Uthman can help you protect your rights in a related DUI case. The legal team at Uthman Law Office also assists people facing criminal prosecution for offenses other than DUI. 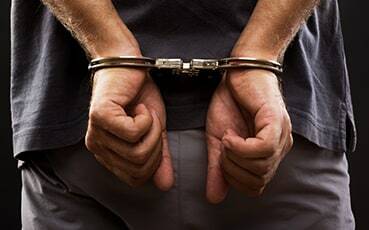 We handle charges involving shoplifting, drug possession, assault, domestic violence, vehicular manslaughter, and other felony and misdemeanor offenses. In many cases, people who have been arrested may have their charges reduced or dismissed by crafting a strong defense. Mounting a defense requires a thorough investigation of the facts in order to determine the appropriate approach. Substantive defenses such as duress, self-defense, lack of criminal intent, and alibi often can be argued persuasively. In other cases, a violation of the defendant’s constitutional rights may prevent the prosecution from using the evidence obtained as a result of the misconduct. A skilled criminal defense attorney can expose the flaws in the prosecution’s case and advocate for a just outcome. A conviction of a felony or misdemeanor may affect employment and housing opportunities as well as other aspects of your life. In certain situations, however, a conviction obtained in California may be expunged from your criminal record and generally treated as if it never occurred. Following a successful petition to the court, the judge will re-open the case, change your plea to “not guilty,” and enter a dismissal of the charge. Typically, most California convictions that did not result in a prison sentence may be expunged if certain requirements are met. The process can usually begin when probation or jail time has been completed, fines, fees, and restitution are paid, and you have no pending charges, although there may be other constraints. If you are concerned about a past conviction, David Uthman can determine your eligibility and assist you in filing a petition to clean up your criminal record. An allegation of domestic violence Is very serious and can cause immediate life altering events. A misunderstood argument can lead to a person being immediately removed from their home and a loss of personal possessions, such as firearms, without a conviction. Many jurisdictions will order that the defendant spouse not return home during the pendency of the case, even if the matter was a misunderstanding and the other spouse wants them to return. Many domestic violence allegations are poorly investigated by the police, leading to an innocent spouse facing charges. In that situation it is imperative that the defendant spouse mount an aggressive defense by taking the “offensive” and turning the tables on the prosecution’s case. Attorney Uthman accomplishes this by engaging a very experienced, top level, former police officer, private investigator to re-investigate your case and show the prosecution the errors the police made in their initial investigation. That, combined with top experts, aggressive discovery and creative motion writing, has led to Attorney Uthman successfully defending and obtaining dismissals in many domestic violence allegations. At Uthman Law Office, we understand that many domestic violence cases involve complicated relationships, and we offer sensitive defense representation. Domestic violence is a distinctive category of crime concerning individuals who are related by blood or marriage, share a child, or were previously or are currently involved in an intimate relationship. In fact, several California laws specifically prohibit the use of physical force, the infliction of injury, or threats of harm against people with whom you have or have had a close relationship. Domestic battery is one of the more common domestic violence crimes. It is defined as any willful and unlawful touching that is harmful or offensive and is committed against a spouse or ex-spouse, cohabitant or former cohabitant, current or former dating partner, or the other parent of the defendant’s child. In many cases, domestic violence allegations can lead to multiple charges for various offenses or result in a restraining order. Domestic violence convictions can also lead to serious immigration consequences, including facing deportation. If you are facing criminal charges in the Bay Area, you should prepare a defense with the assistance of an experienced criminal attorney. At Uthman Law Office, we accept clients for whom we can provide a strong defense against the prosecution. 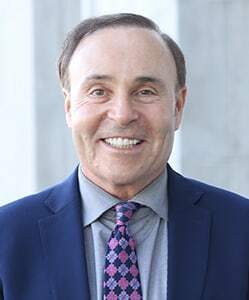 San Francisco DMV lawyer David Uthman represents residents of the Bay Area in DMV administrative proceedings, and he also works tirelessly in criminal court to get charges reduced or dismissed completely. For a free consultation about your specific situation, call 415.556.9200 or complete our contact form online. David Uthman brings a decade of experience as a Police Officer to his San Francisco Criminal Law and Traffic Law Defense. The foundation of the Uthman Law Office is expertly researched and experienced defense of clients. Mr. Uthman served as a Public Defender and is a veteran litigator, respected by Judges and District Attorneys. His knowledge of Law Enforcement procedures and practices combined with courtroom experience brings a unique capacity to defend clients facing criminal charges, traffic infractions, and administrative actions by the DMV. DMV Representation If you have an upcoming DMV hearing, consulting with a knowledgeable attorney may prove helpful. Attorney Uthman has comprehensive experience representing clients at the DMV. Criminal Defense Attorney Uthman's success with criminal cases attests to his mastery of both the law and the system. Unlike many attorneys, he is an experienced litigator, having tried and won numerous court and jury cases. DUI & Traffic Defense DUI cases are complex. Attorney Uthman will have all your legal bases covered. He will handle your DMV case and in many instances, his clients never have to go to court or appear at the DMV.